The history of the tablets translated in this book is strange and beyond the belief of modern scientists, archeologists, and scholars. Their antiquity is amazing information date back some 36,000 years B.C. 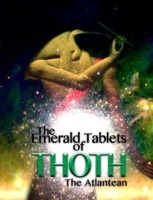 The original writer is Thoth, an Atlantean Priest-King, who founded a colony in ancient Egypt after the sinking of Atlantis.